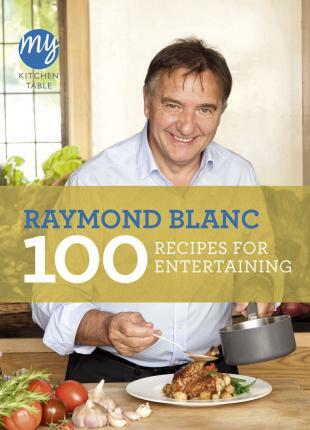 Raymond Blanc has chosen 100 sensational but easily achievable recipes that will wowÂ readers'Â guests and impressÂ their friends. From a simple, but classic French Onion Soup or Coq au Vin to the finest Roast Rib of Beef or Pork Fillet with Onion and Garlic Puree, these are foolproof go-to recipes.Â WithÂ perfect desserts, such as Black Cherry Tart or Strawberry Sorbet, this book will become the first book to turn toÂ for a meal to impress, whether for a weekend banquet or weeknight feast. Includes dual measures.